The scene is wartime Paris. Swastikas adorn the Champs Elysees. Jackbooted Nazis are rounding up Jews for the concentration camps, while terrified Parisians look on. It is a familiar plot for a television blockbuster. And this time the formula has been as popular as ever, drawing in massive audiences week after week. The only difference is that this is a series made for Iranian state TV, and it has been piling up the ratings in the country whose president once questioned the very existence of the Holocaust. The fact that Zero Degree Turn has been allowed on TV, shows the official sensitivity over the accusations of anti-Semitism that have followed President Mahmoud Ahmadinejad's various comments about Israel and the Holocaust. "There's been a menu of demonising Iran to portray it as anti-Jewish, which is not the case at all," argues Iranian commentator and film-maker Nader Talebzadeh. "This popular television series, which is visually also very attractive, has tackled this issue because of all the propaganda against Iran." The series has gone a step beyond simply acknowledging the Holocaust. The central character is an Iranian diplomat, who provides false Iranian passports to enable Jews to flee the Nazi-occupied France, a sort of the Iranian Schindler. He even has a love affair with a Jewish woman. The writer and director of the series, Hassan Fathi, says he used a true story from World War II to show the outside world they have the wrong impression of Iran. "In those terrible years there were many people who could help the Jews, but they didn't because they were afraid they would be arrested," Mr Fathi explains. "But some Iranians, when they saw they could save some Jews, they left their fear behind and did so - because of their character and their culture, their beliefs and their traditions," he adds. But the outside world also sees Iran's relentless criticism of Israel and Zionism. In fact, the Islamic Republic sometimes seems almost to define itself by its opposition to the Jewish state. Ahmadinejad has accused Israel of propagating a "Holocaust myth"
Mr Fathi's argument - one echoed time and again in this country - is that you can be anti-Zionist, without being anti-Jewish. "Let's be absolutely clear about this. We sympathise just as much with those innocent Jewish victims of the Nazis, as much as we do with the Palestinian victims of Zionism," Mr Fathi insists. "And this is not just the view of a minority, it's the position of most Iranians." President Ahmadinejad takes pride in meeting members of Jewish sects who are also opposed to the existence of a Jewish state. But most other Jews would take issue with his claim not to be anti-Semitic. 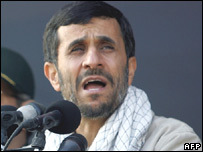 Mr Ahmadinejad no longer openly questions the existence of the Holocaust. Instead he calls for further research on the issue. To the West, he defends this as an innocent call for academic freedom. 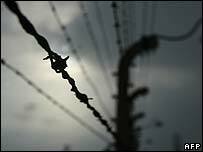 But the signal to the Arabs and Muslim masses that he is trying to rally is that there is still some doubt over the Holocaust - if not over its existence, then at least over the scale of it. And what of Mr Ahmadinejad's call for an end to the Israeli state (when he was quoting the leader of the Islamic revolution Ayatollah Khomeini) and his description of the holocaust as a myth? There is an interesting perspective from Mr Talebzadeh. He is a firm supporter of the Islamic Revolution, but also someone who has spent time in the United States, as his American accent betrays. "The media loves to harp on that theme," Mr Talebzadeh complains. "'They want to wipe Israel off the map', 'This is Hitler'. I mean that 'Hitler - Ahmadinejad' is almost a strategic theme now for three years. "You know, the Soviet Union disintegrated very unexpectedly. It's a very good example of what would happen. Does America think it's going to be there for ever? "I could right now see America dismantling into different states. Israel, I think, would probably fall into the same pattern, and that, I think, is what the president [Ahmadinejad]is trying to convey right now," Mr Talebzadeh says. The idea that the US is about to splinter apart is a piece of wishful thinking quite widely shared here in Iran. But there is also a very genuine belief here in Iran's history of religious tolerance. There's a small Jewish community here, as well as Christian and other minorities (though the government has been criticised by human rights groups for its treatment of the Bahai minority). Most Iranians, even those taking part in the most ardent anti-Zionist demonstrations, would be quite shocked at any accusation that they are anti-Semitic. The new TV series also happens to be extremely well produced, with music and cinematography up to the highest Hollywood standard. Week after week, Iranian audiences have been pulling out their handkerchiefs as the tragically doomed romance unfolds between an Iranian diplomat and a French Jewish woman. Tehran police try to encourage women to adopt more conservative dress.